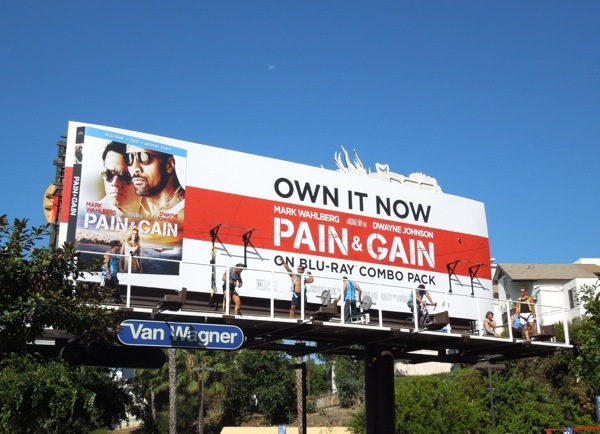 You know when an actor is having a good year, when the billboards for his new movie immediately replace his previous blockbuster. 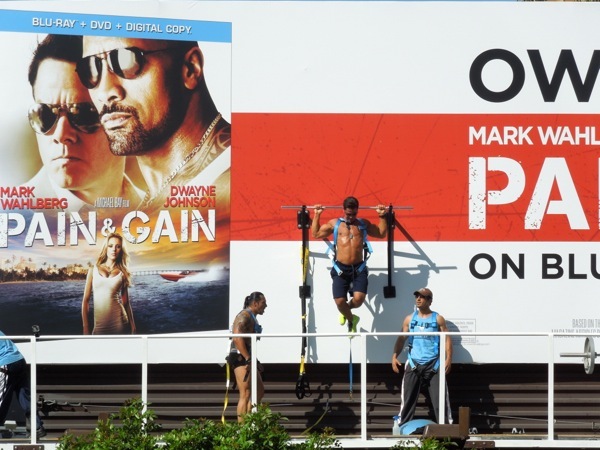 Yes, Dwayne 'The Rock' Johnson is quite the big box office star in 2013, both figuratively and literally. 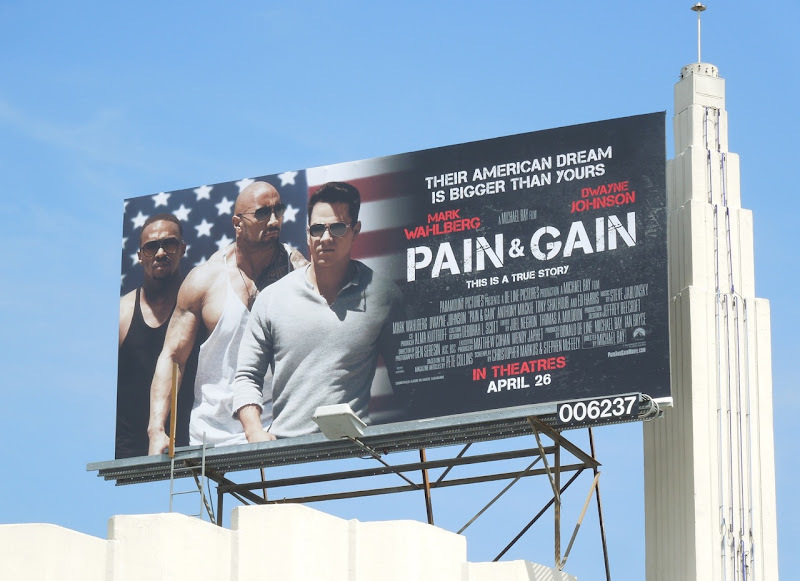 He's already starred in Snitch and G.I. 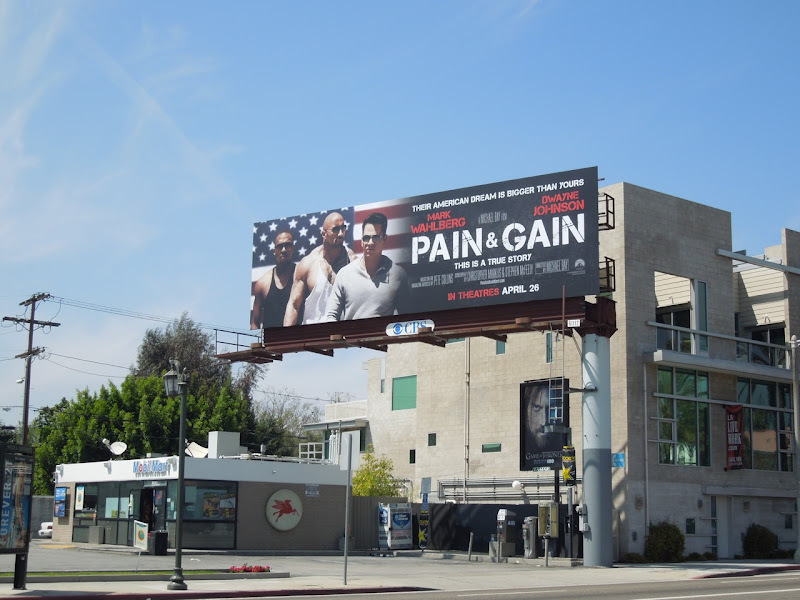 Joe: Retaliation this year and now he's teaming up with more muscle in the form of Mark Wahlberg and Anthony Mackie, in a pumped up tale of kidnapping, murder and extortion gone wrong. 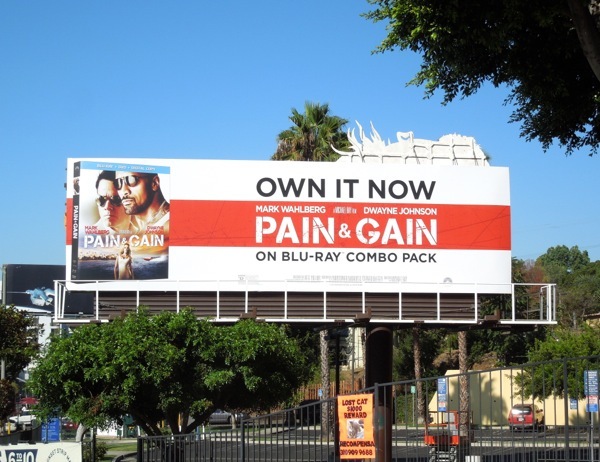 This crime comedy from Transformers Michael Bay is based on a true story and follows the exploits of of a trio of bodybuilders from the 'Sun Gym' in Miami, Florida. They plan to rip off one of the rich, spoiled businessmen at their gym, because why make your own fortune when you can steal someone else's, right? That's their American Dream. 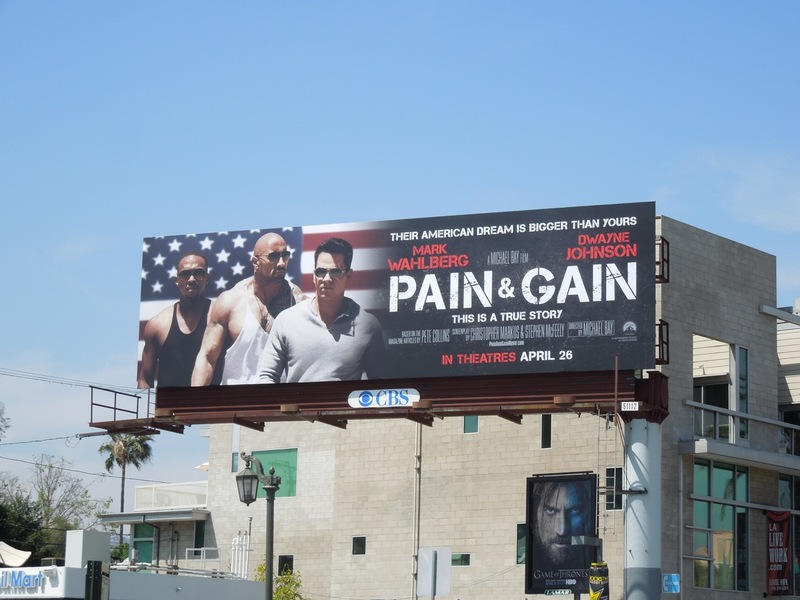 Sadly for them, their botched kidnap scheme goes horribly wrong and makes them hunted men. 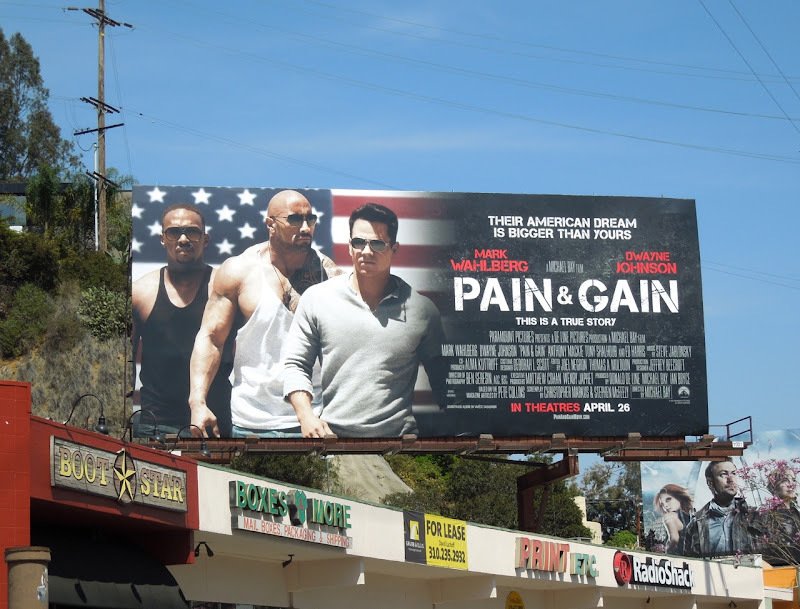 These Pain & Gain movie billboards were snapped along Sunset Boulevard, Beverly Boulevard and Highland Avenue on April 3, 2013. 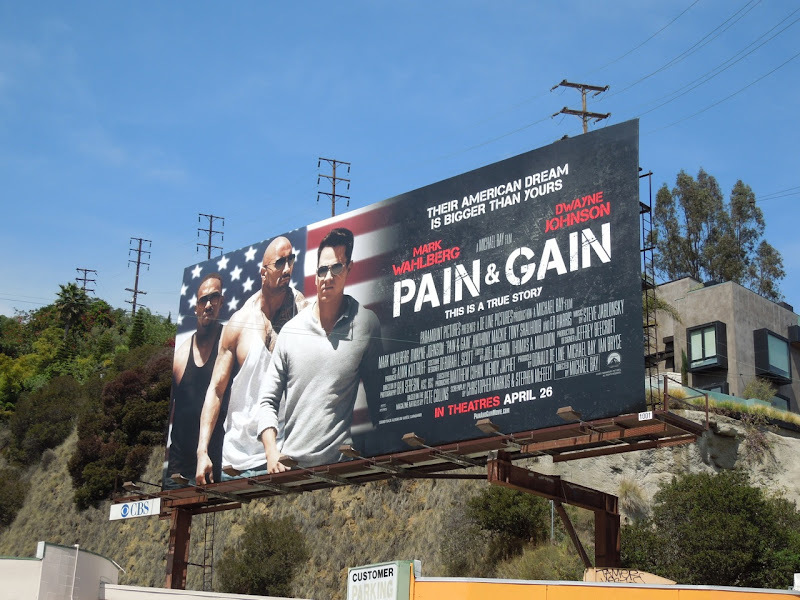 Next on the schedule for the actor after this is Fast & Furious 6, but if the big screen doesn't work out for Dwayne Johnson in the future, he can always fall back on his multi-million dollar wrestling gig or those 'got milk?' 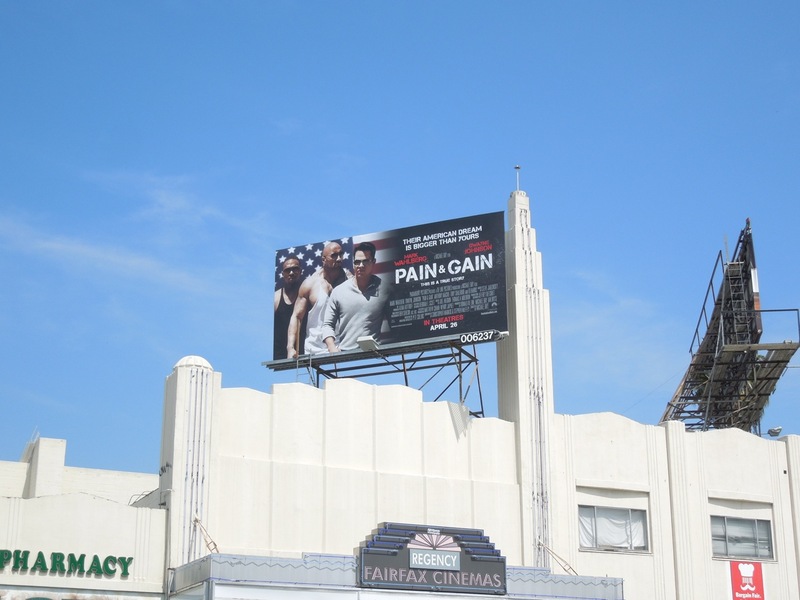 commercials, just as long as he never has to do another Tooth Fairy movie again. 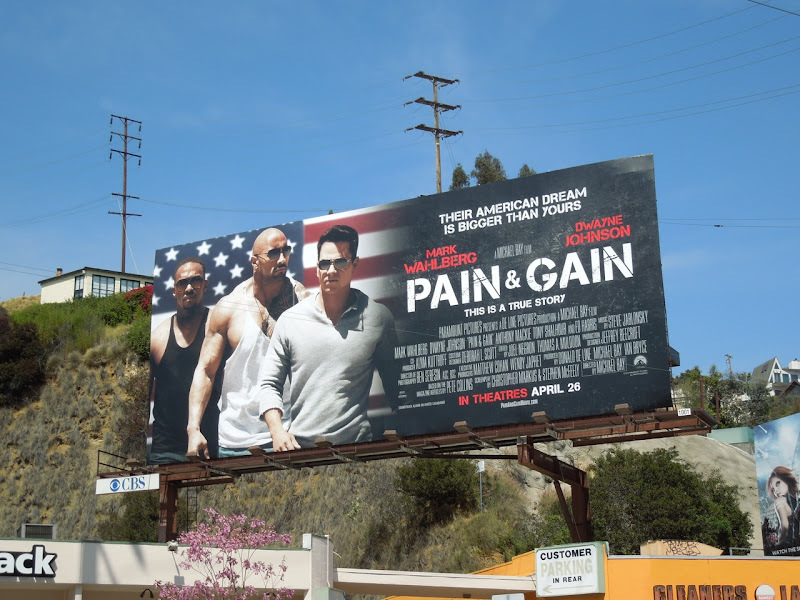 UPDATED: Be sure to also check out this trio of original costumes worn by Mark Wahlberg, Dwayne Johnson and Anthony Mackie in Pain & Gain on display in Hollywood. 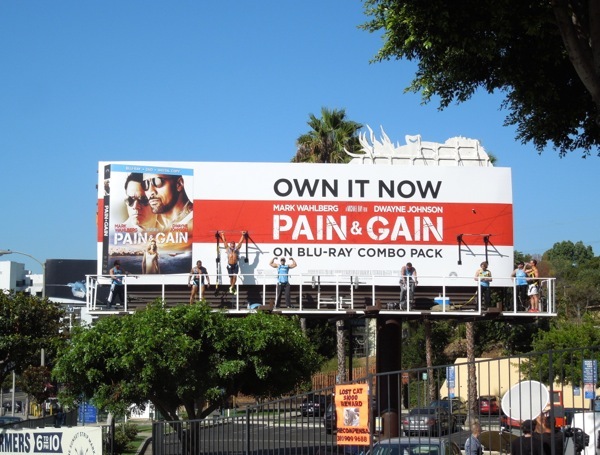 UPDATED: To add a bit of excitement for the launch of the Blu-ray of Pain & Gain, Paramount Studios had this spectacular live bodybuilder gym billboard installation along L.A.'s Sunset Strip on Monday August 26, 2013. 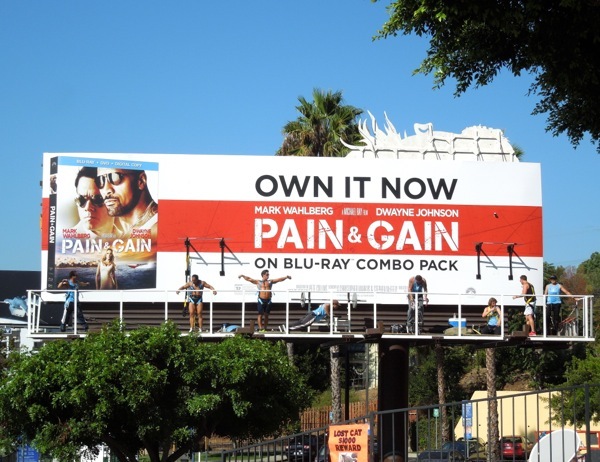 The muscle men working out on a platform in front of a billboard for the movie totally embodies the spirit of the film and makes for an eye-catching sight with all those glistening bodies under the California summer sun. 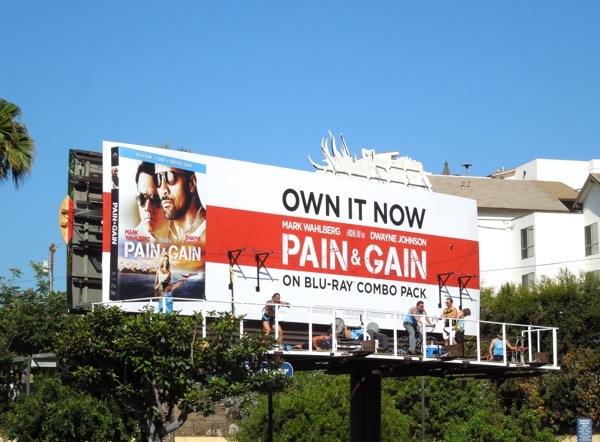 One of the only distracting things about the choice of this particular billboard hoarding was that it had the special extension for another movie, Cloudy with a Chance of Meatballs 2, peaking over the top. Otherwise this was a pretty engaging installation and fun PR stunt, and certainly worthy of consideration for a BAB Award next year. If you like this concept, be sure to also check out this live billboard installation for Arthur Christmas from November 2011.